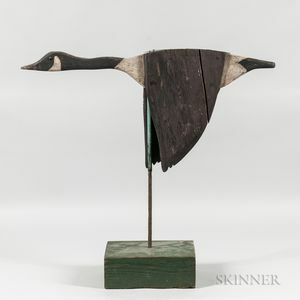 Carved and Painted Pine Canada Goose Weathervane, possibly Elmer Crowell, c. 1930, second paint, lg. 29 1/4 in., on custom stand. 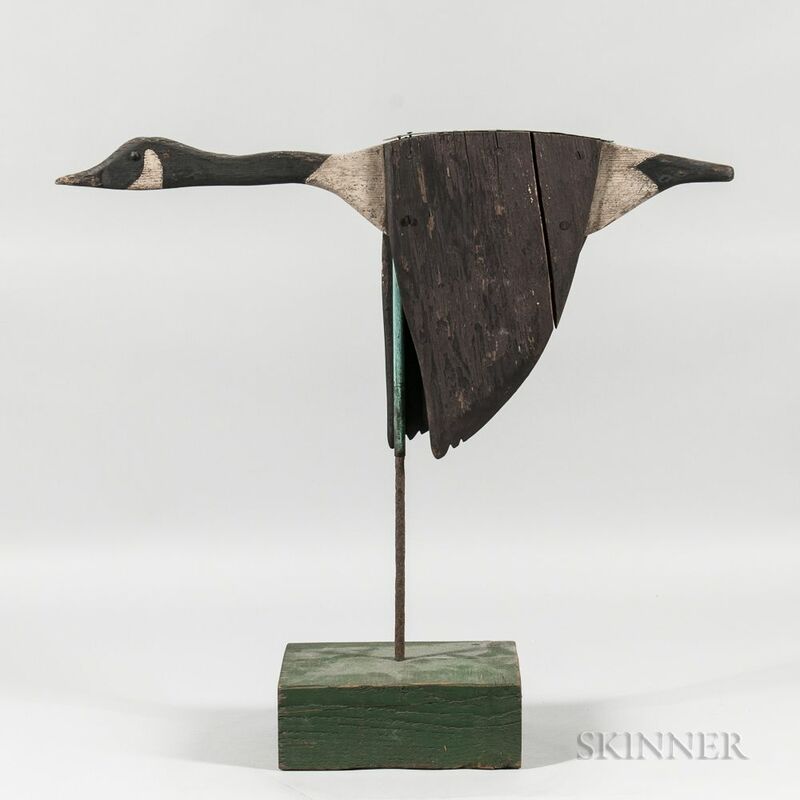 Note: According to Robert Jackman, who handled the sale of this weathervane to the consignor, "Elmer Crowell was Cape Cod's leading decoy and bird carver, and this weathervane appears to be his work," pointing to distinctive features such as "the crick in the neck," "notched wing tips on offset wings," "fine incising [to the tail," and the use of "everdure [non-corroding] screws."